From Tobago Cays to Union Island we had our shortest route, only 4NM, approx 30 min! So once again we only motored our way in to Clifton on Union Island. Jörgen hoping to have a rest on his own before getting a berth in the marina… however you don’t just escape like that on a surface of 18m2. Alex being very curious! A bit sad to see that the season in the Caribbean is already coming to its end. We were nearly on our own in the marina compared to a packed marina when we were here last in January. A walk into Clifton, the kids were really happy to bike their scooters! Provisioning in Clifton at a lovely fruit market. 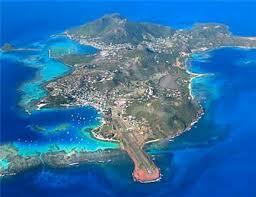 The purpose of us coming back to Union Island was that we missed to visit Happy Islands the last time. So for our last sundowner in St Vincent & The Grenadines we took a taxi boat to Happy Islands and what an experience!! Totally beyond our expectations!! The owner/builder, Janti Ramage, built this unique place, which is also his residence, out of conch shells found in the area. This enterprising fellow gathered up all the discarded piles of conch shells in Clifton Harbour and build himself an island on a shallow part of the reef. He was given a couple of palms from nearby Palm Island, decided to call the place Happy Island and opened a bar where visiting boat people can watch the sunset with a rum punch in hand. 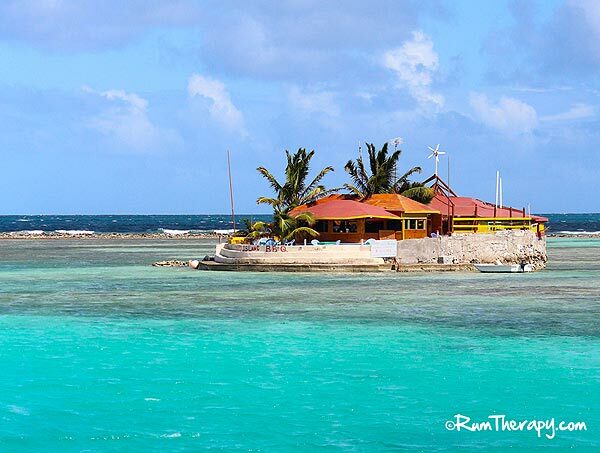 It is the only island in the Caribbean that is self supplied: water supply from the rain and electricity supply the sun. Our usual tradition for our sundowner: Yatzee! This time Inez took the pen, with some help. Could not resist this picture. Louise got Yatzee at the first throw!!! And now for the entertainment that we did not expect! Union Island is known for its kite surfing, however we never thought that the top best in the world come here to exercise. Considering Happy Islands position, these professionals get support and applauses during their exercises and we get great entertainment!! And some of it was really breathtaking! Kids being inspired by the impressive kite surfers. Thankyou Happy Island for one of the best Sundowners in the Caribbean.